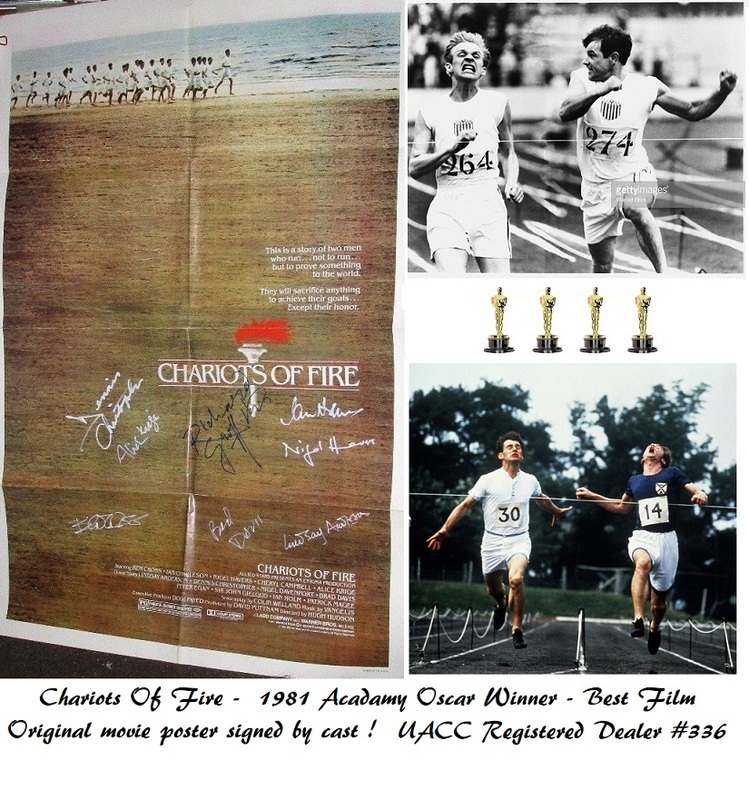 A stunning, and unique, in Person Signed 27"x40" ORIGINAL Movie Poster, Signed by main cast from the movie "Chariots of Fire". Swept the Oscars in 1981, inc. Best Picture, Best Screenplay, Best Soundtrack (Vangelis) , and best Costume Design. Lindsay Anderson, and Richard Griffiths (in Blue Sharpie). All Signatures were obtained in Los Angeles USA between 1981 and 1996. This Two Sided poster will be the center of attention wherever you hang it! We have not seen such a wonderful autograph collection for this movie, on an original poster before ! Optional: individual signed autograph pages. 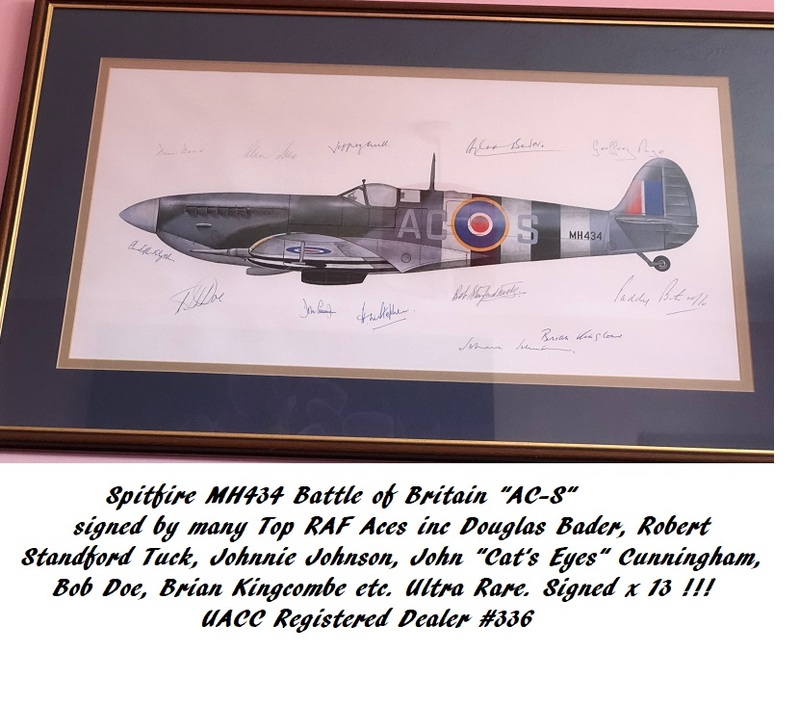 Can be mounted with poster - Please enquire. (£350 for the extra set).